Is it just me, or are store-bought air fresheners and candles ridiculously strong? I mean, I’m super sensitive to intense scents, so I can always get behind gentler aromas. Enter essential oils, one of the best ways to naturally make a room smell ah-mazing. 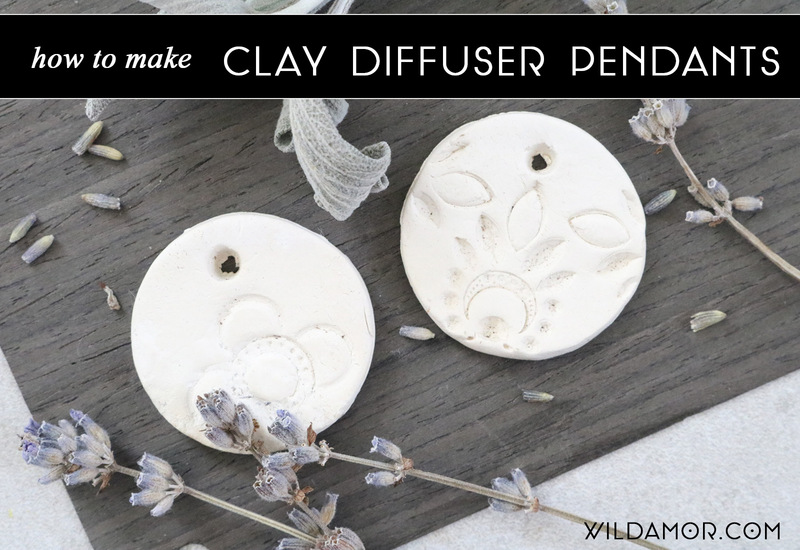 I’ve personally been all about clay diffusers, which are easy for “displaying” an essential oil. Using one is also a lot safer than a wax warmer and tealight candle! 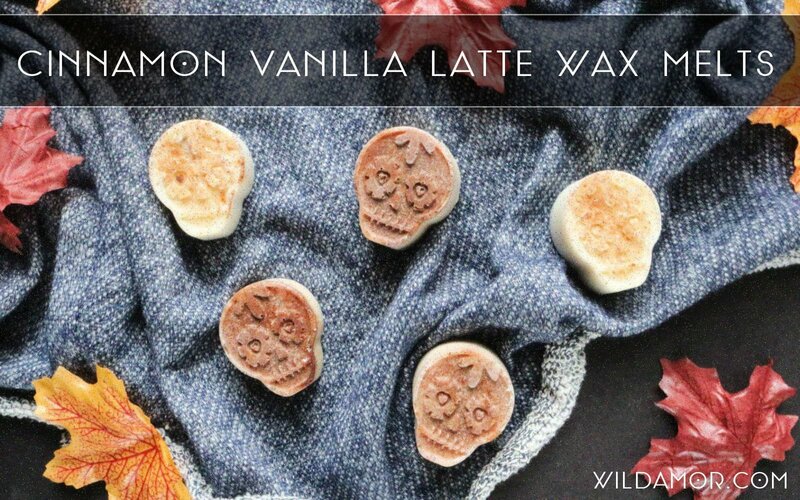 Moreover, they’re ridiculously easy to make. 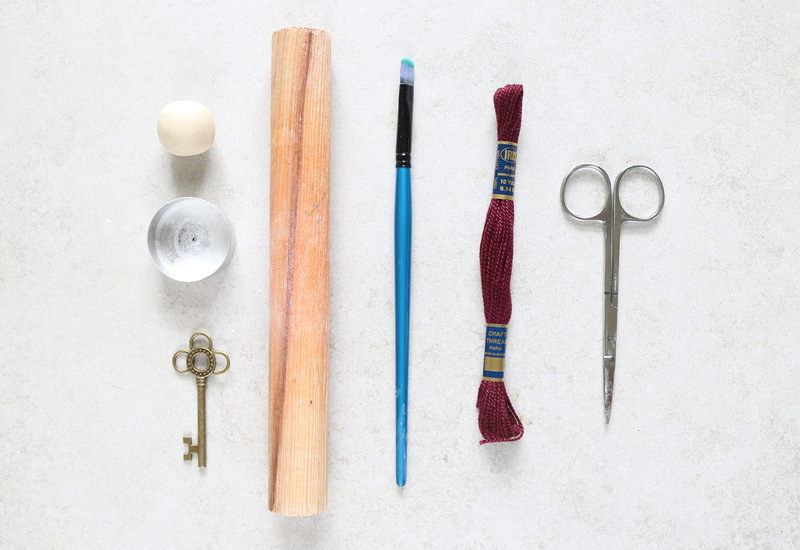 All you need is a few basic supplies and simple techniques. When packaged with a bottle or two of essential oils, these clay diffusers will make awesome budget-friendly gifts. 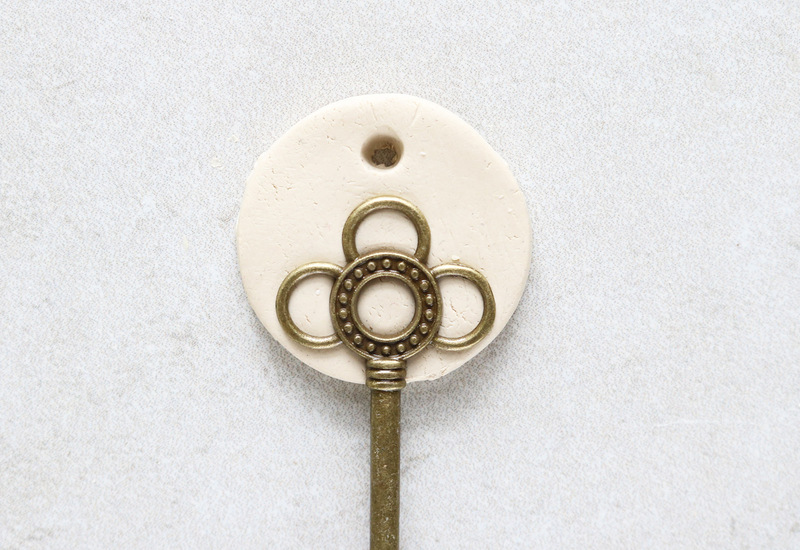 Jewelry, pendants, skeleton keys, etc. 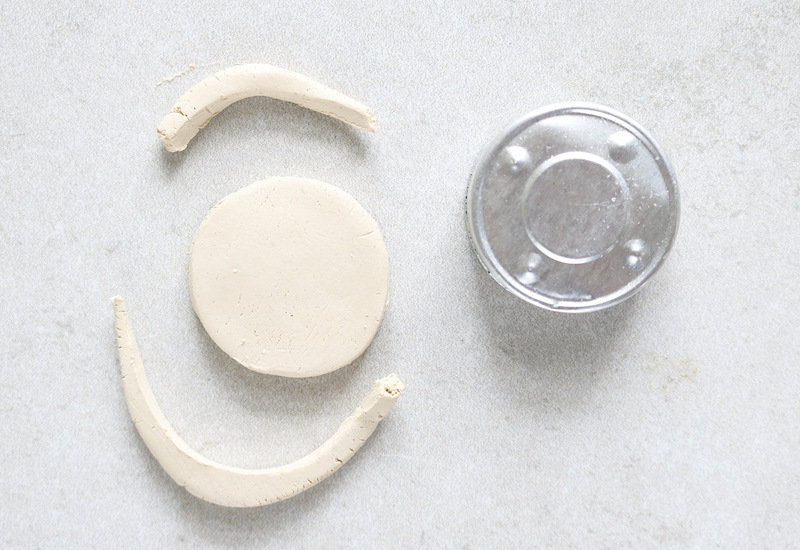 * The amount of clay depends on the size of your finished clay diffuser. 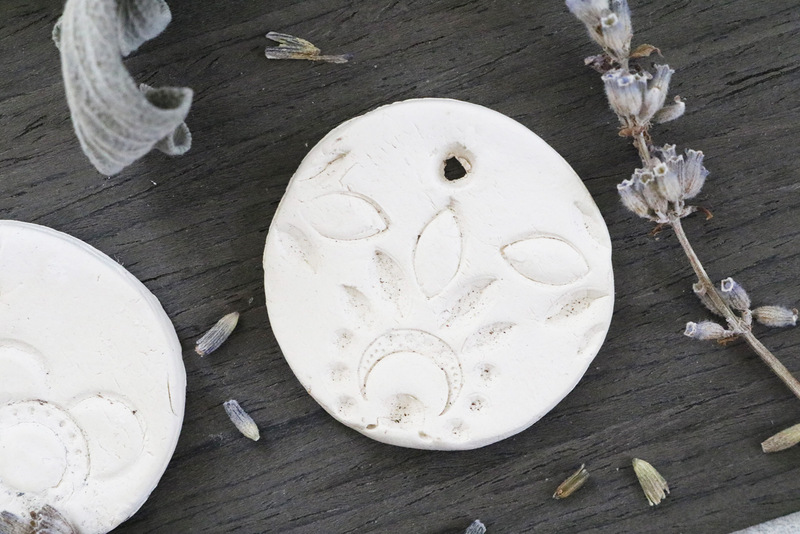 For this project, I used a 1.5-inch wide ball of air-dry clay and an empty tealight holder. Jars, shot glasses, and cups work great for larger sizes. 1. 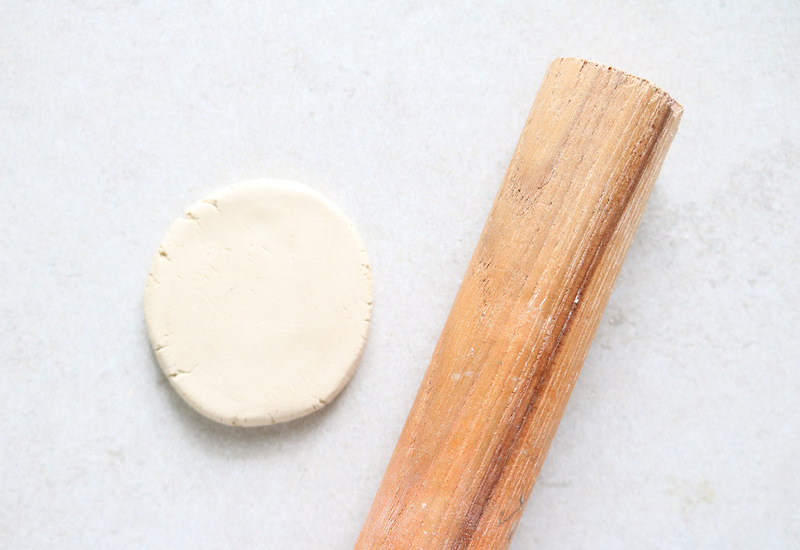 Roll out the air-dry clay with the rolling pin. The clay should be the same thickness as 2 or 3 coins. 2. 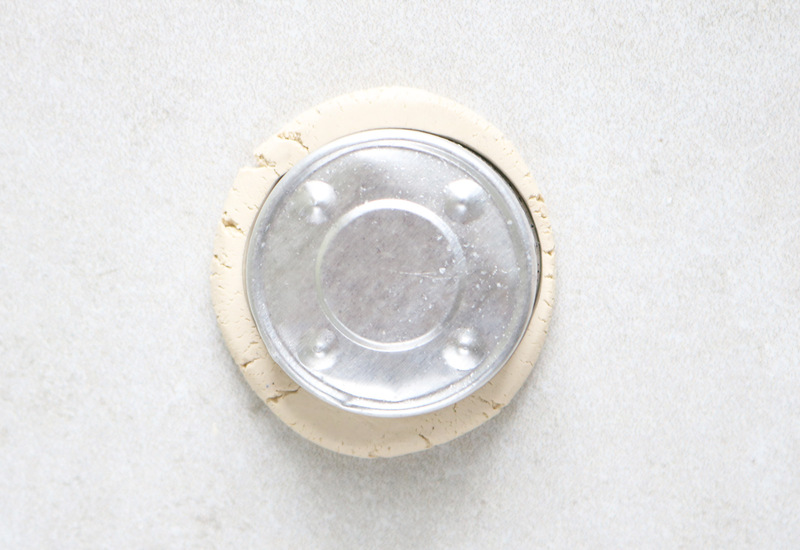 Press the round shape into the clay, applying firm pressure until it cuts completely through. 3. Separate the clay and remove the excess. You can roll up and re-use this clay for another diffuser. 4. 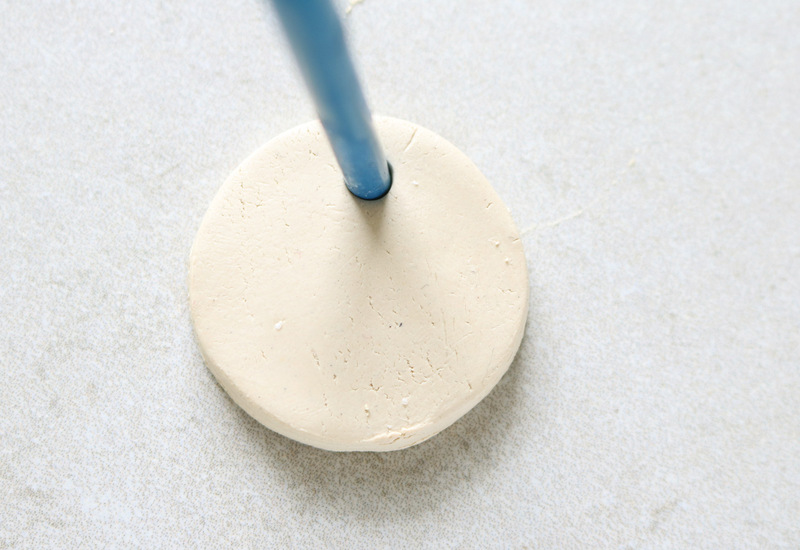 Using the handle of the paintbrush, create a hole to make a hanging diffuser. 5. 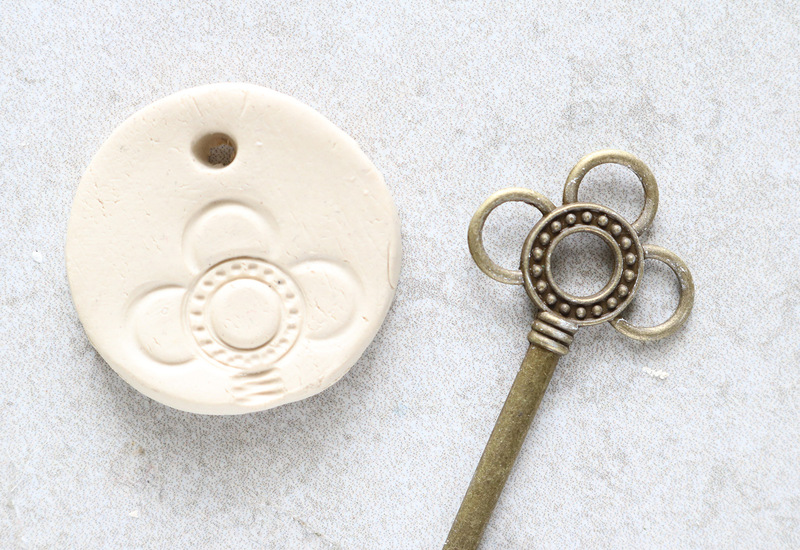 For a fun design, press different objects into the clay. 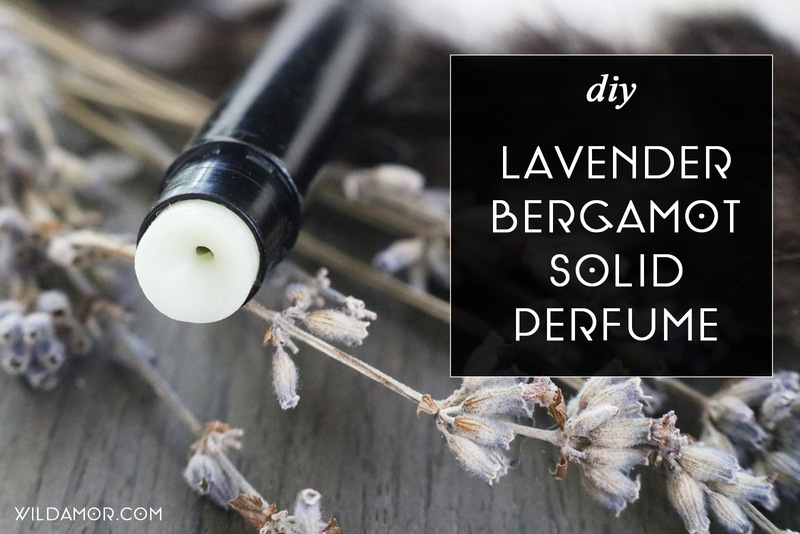 I used a skeleton key and a jeweled pendant for the diffusers in this post. Other excellent ideas include lace or broken jewelry! If you’re up for the challenge, use a craft knife to carve a unique pattern. 6. Let the clay dry according to the package’s directions. For most brands, this will be about 24 hours. Once dry, your diffusers are ready! This makes a super inexpensive gift for any essential oil lover. To use, just add a few drops of essential oil and leave out. To make it into jewelry, thread chain or cord through the hole. Note that air dry clay will slightly crackle when dried. If you’re not into this look, use oven-bake clay for a smoother finish.